Apparently I eat, train and run like a mountain goat, earning myself the moniker “the Mountain Goat” on Swim Bike Mom’s famed blog. However, as a resident of Midtown Atlanta I am often restricted to a more urban environment. But whether the mountains are pavement or dirt, I keep on trucking. 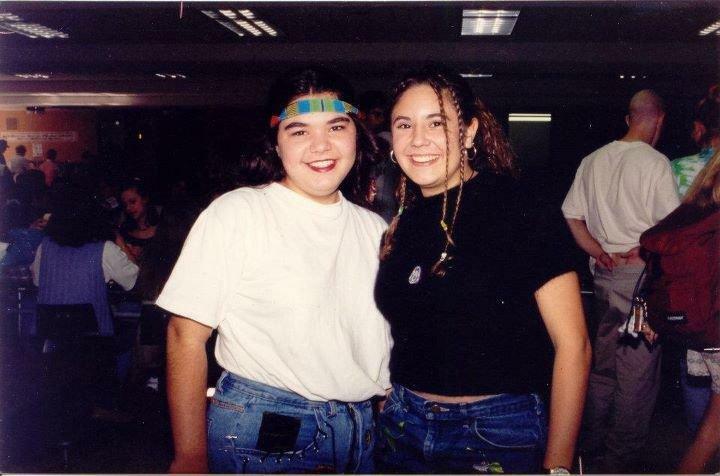 This goat was an awkward youth, sporting big glasses, a crazy wardrobe, and a full blown mustache and unibrow, enduring taunts due to my “uniqueness.” I misguidedly tried to fit in by trying out for cheerleader and other conventional things that “cool kids” did. After much failure and disappointment, a girl who lived nearby encouraged me to join the cross country team and introduced me to an activity that would make high school bearable; teach me to be comfortable in my own skin; and would come to help me stay true to myself and strive through other tough times in life. I’ve been running for over 17 years. 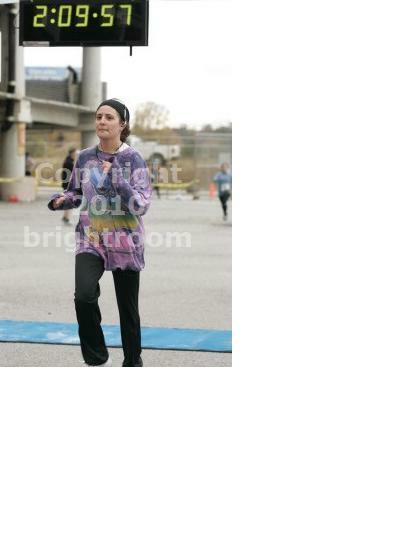 I was never a very good runner. I was a little chubby and didn’t take it much seriously. I liked running, but not running very hard. It was more about the fun people I met and all the guys on the high school team I could date. Our girls cross country team hadn’t lost a meet in years, and everyone was very serious. There was a lot of pressure, and that sort of atmosphere just didn’t work for me. I think it might have actually made me work less hard. If I wasn’t very good, then I didn’t have to worry about anyone’s expectations. They’d be kept low, and I’d fly under the radar. Regardless, I made great friends running, and those friends taught me a lot about being different and being ok with that. I didn’t have to be a cheerleader or rich kid to be cool. I could just be me. Despite being a bit pudgy and a just plain awful runner, I found solace on the trails and was embraced by my teammates learning just how awesome runners are and just how life changing a great run can be. I’ve kept running throughout my life. I ran on my college’s small D3 cross country team. But it got in the way of beer drinking, and was time consuming, so I quit after a couple years. I ran on and off through college, law school, and after, but didn’t race. About five years ago, I really started to get back into not just running, but racing. My brother-in-law had started med school and was dating a girl who also liked to run. 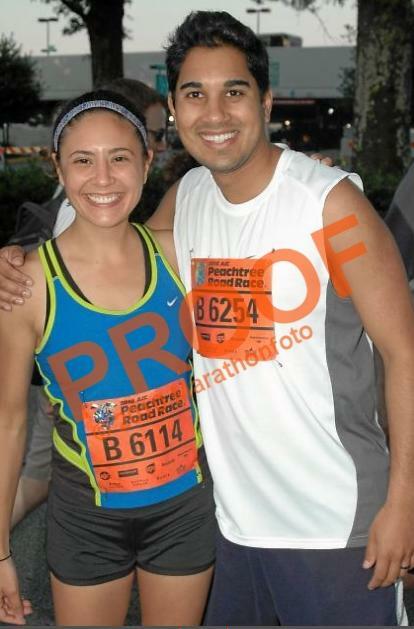 We committed to run a half marathon together. They broke up, and I panicked that I had lost my race partner. But she ran it with me anyways. We got the bug after that, and still race together to this day. Me and JT survive Battle the 10 miler. JT skinned her knees, and I peed my pants. All and all, a good time had by all. 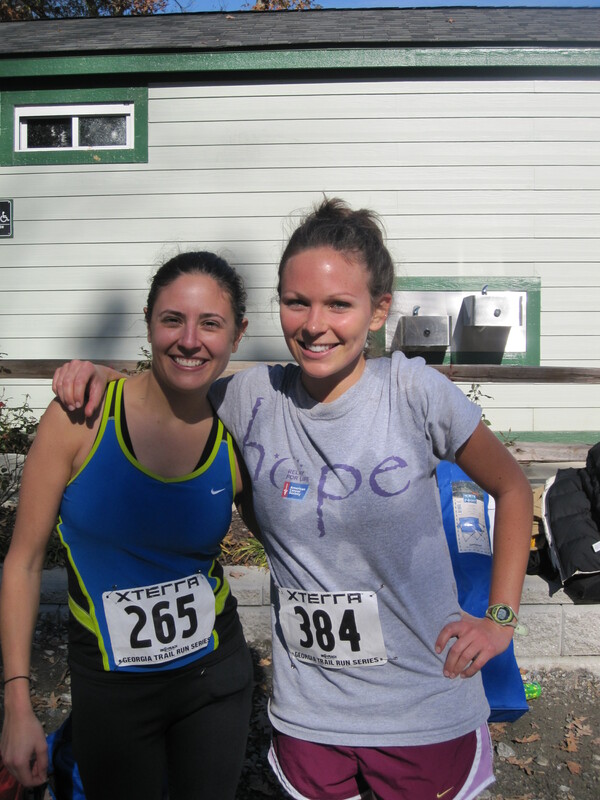 In that first half marathon, I was ill prepared, out of shape and carrying ten extra pounds. Thus, the goal was simple – just finish. As I crossed the finish line at that race, although I hadn’t won, or placed, or even run a respectable time, I was elated. I had an indescribable feeling. I felt proud and accomplished and like – hey, if I can do this, then what can’t I do? As I signed up for additional races, the goal was always the same – just finish. A funny thing stated happening after I started racing again in adulthood. Every now and then, I would place or win my age group, or run a time that totally surprised me! Once I got the bug, I just couldn’t stop! And so on I will keep going! Pooky has even joined me for a few races! The bug has spread! What’s up next? Lots of little races, then the big one – the TransRockies in August 2013! And lots of crazy adventures on the way! This entry was posted in Inspiration, Musings, Running and tagged back story, blogging, crazy, gratitutde, live more, running by UrbanMountainGoat. Bookmark the permalink.